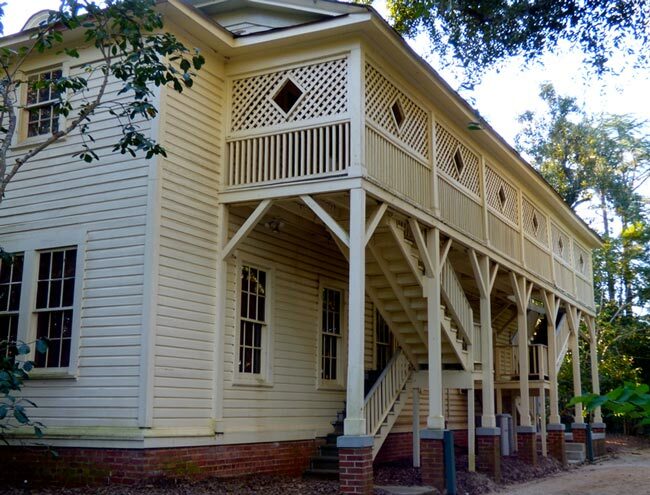 Aiken is known as the “Horse Capital of the South” in much part due to New York financier William C. Whitney, who brought polo to the city in the late nineteenth century. 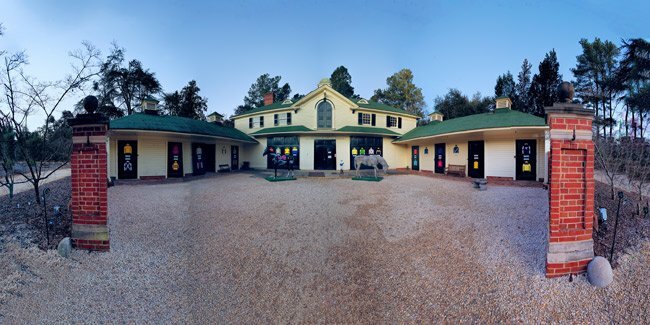 Whitney helped establish the Aiken Winter Colony for the Northern elite who traveled south for to play polo and buy and sell thoroughbreds. Aiken’s status as “America’s Polo Capital” spawned horse racing as well. In 1977 Whitney’s great-grandson Whitney Tower, horse racing editor and writer for Sports Illustrated, worked with the city and local Jaycees to create the Thoroughbred Racing Hall of Fame. The Hall of Fame is located within Hopelands Gardens, named for Hope Goodard Iselin of Rhode Island. Hope’s husband, C. Oliver Iselin, bought the property in 1897 for a winter home. Prior to that, the grounds were farmland. The photo at the top of the page shows two horse statues flanking a doorway. The statues are part of a joint project between the Aiken Center for the Arts and the United Way of Aiken County created as a fundraiser for local arts programs. Eleven sponsored horses painted by selected artists can be found throughout the Aiken area. 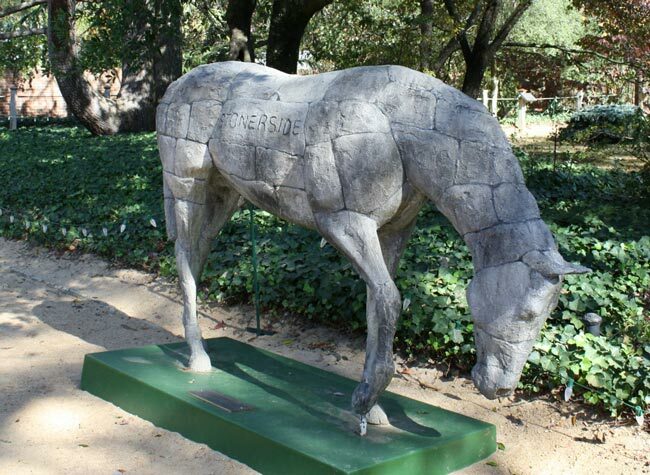 Below is a close-up of Stonerside, one of the two horse statues currently flanking the entrance to the Hall of Fame.